From the race track to Shanghai Motor Show to your garage. Nelson Piquet Jr. is a former Formula 1 and endurance racing driver who now drives for NextEV in the all-electric Formula E racing series. His incredible driving skill helped him win the inaugural Formula E championship in 2015. Piquet will now be contributing a series of columns to InsideEVs called "Powered by Piquet: E-Columns," which focuses on electric vehicles and how the technology is moving from the track to the streets. In his first column, Nelson introduces himself, the company he works for, and what they're working to achieve. Over the past few years, I've been working in the midst of the pinnacle of the electric vehicle development movement and it's been a fascinating time. When I entered the FIA Formula E Championship, the world's first all electric single-seater racing series, in the summer of 2014, as far as I was concerned I was just going racing. But I have become so interested since then about the future of the EV market and have been involved in some pioneering activities. My team in Formula E is owned by NIO, a global electric start-up with bases in China, the USA, Germany, and the UK. The performance division of the company, which is run out of the UK, runs the Formula E team and also developed the EP9 supercar, which NIO unveiled last November. It is a spectacular machine; I have had the chance to drive it on a few occasions and was proud to be present when it set the EV lap record at the Nordschliefe. 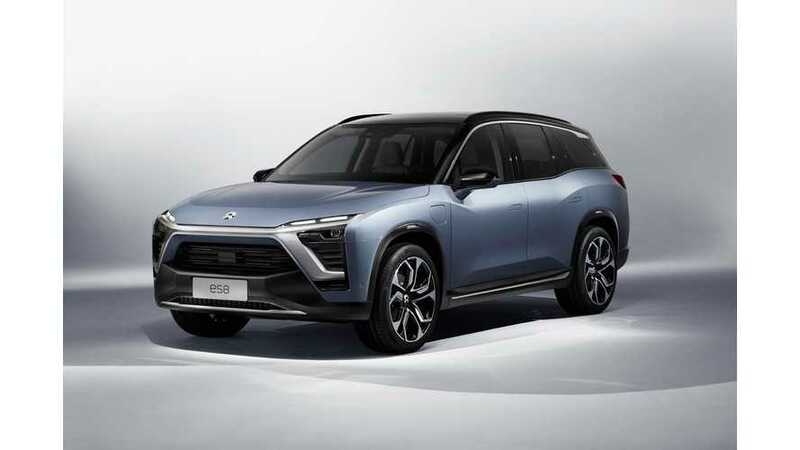 Since then, as well as its autonomous program that is incredibly impressive, NIO has been working on building up to the unveiling of its first-ever, mass-production consumer car for the Chinese market. I was lucky enough to be at the Shanghai Autoshow when the ES8 was shown to the world and I'm proud to be a part of such a pioneering company. They announced that the car will have an innovative battery-swapping capability, with the aim of making recharging a car as simple as a traditional stop at a petrol station. The founder of NIO, William Li, had a simple vision; to bring back blue skies for future generations, now that he's seen the effects of pollution in China. His aim is to achieve his vision by leading the way in future automotive technologies. The ES8 is the first vehicle that will hit roads to go towards achieving this. It's a seven-seater SUV that will have high- performance in its veins. The EV industry is moving forward at a rapid pace, and it is pioneering technologies like battery swapping that NIO is developing that will enable EVs to be a viable option. I'm proud to be along with NIO for the ride. Editor's Note: Our parent company, Motorsport Network, owns a share in Formula E Holdings Limited, the commercial rights holder of the FIA Formula E Championship. This fact does not influence our independent editorial coverage of Formula E.